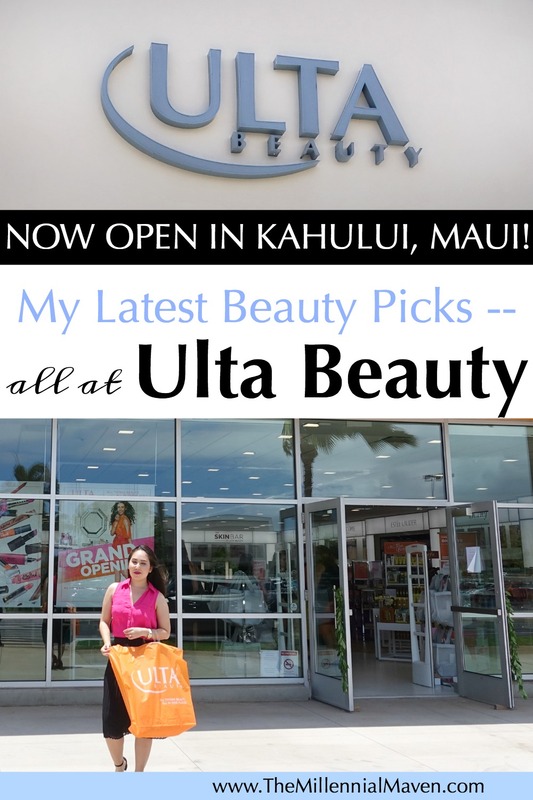 My Top Beauty Picks at the NEW ULTA BEAUTY in Kahului, Maui — GRAND OPENING ANNOUNCEMENT! 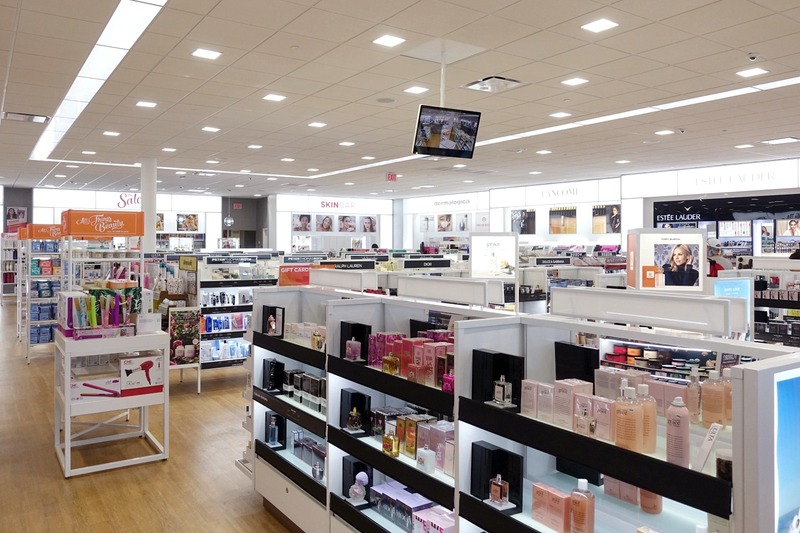 This post is created in partnership with Ulta Beauty. 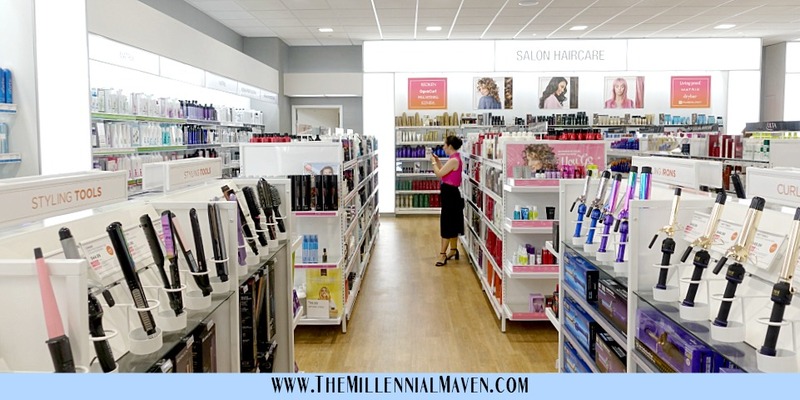 The Millennial Maven uses affiliate links to help support our content. To learn more, hop over to our Disclosure page. Attention Hawaii beauty lovers! 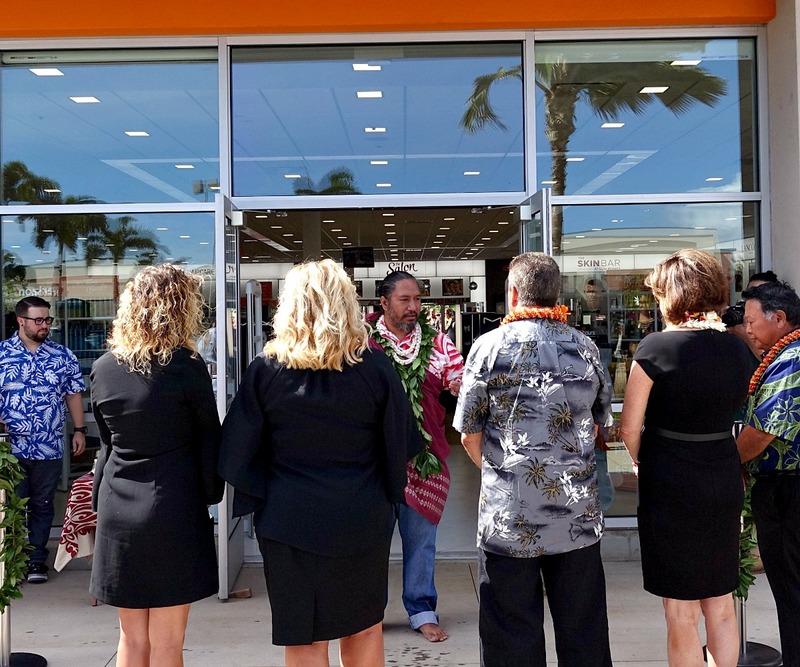 Exciting news– Ulta Beauty is now open in Kahului, Maui! And I was one of the first ones to see it. It does not disappoint. I have been waiting for this day for years. No joke. 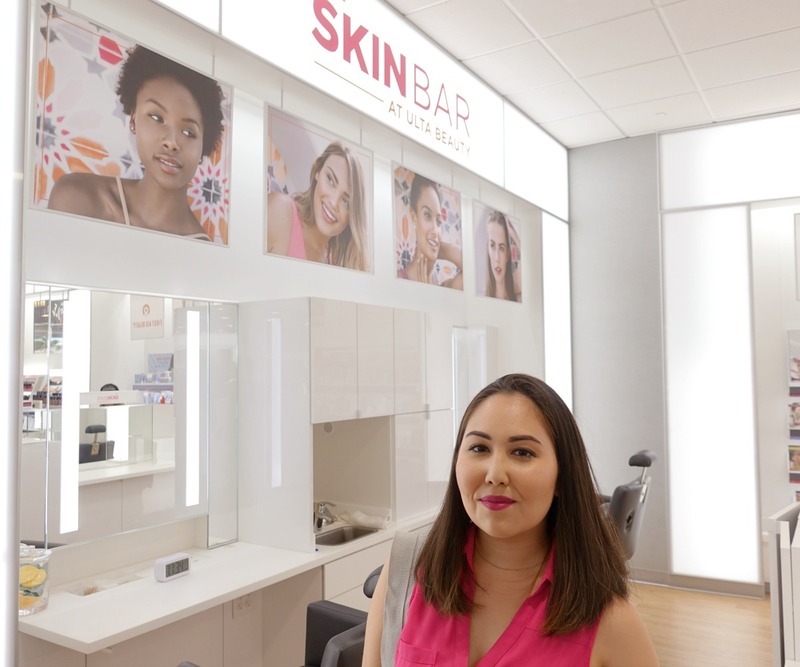 As an Ulta Beauty online shopper for a long time, I was familiar with the brand and product lines, but I had never actually stepped foot in an Ulta Beauty store. Nothing beats walking into a good old-fashioned store and being immersed in all the beauty goodness in real life. I was missing that all these years, but no longer! 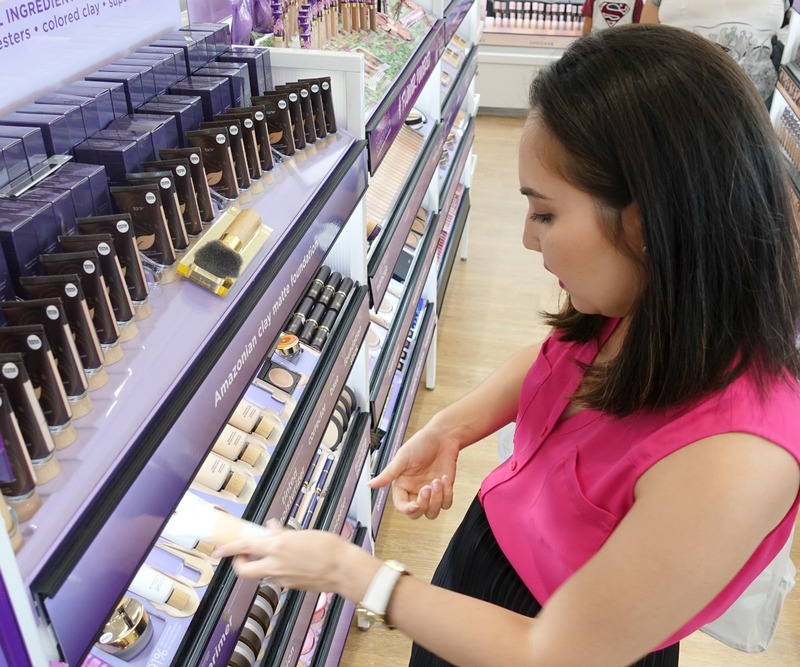 Today I am sharing what products I picked up on my first ever Ulta Beauty excursion. Some of these are holy grail status favorites, and some are new things that grabbed my attention and I am excited to try out. Let’s get started! p.s. 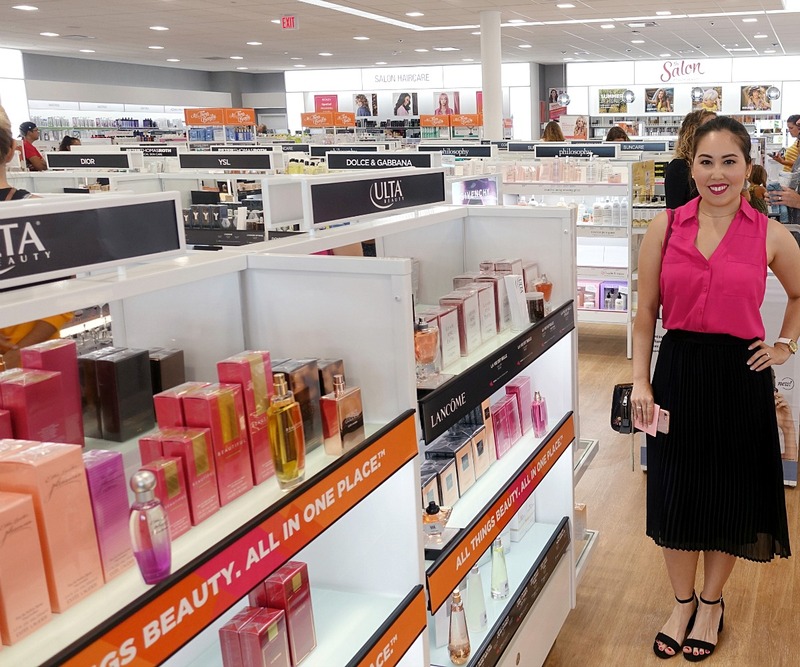 I’ve added a bunch of photos from Ulta Beauty’s Maui opening day into this post, but there are plenty more! Head over to my INSTAGRAM to see more candid photos and behind-the-scenes action, including clips of the gorgeous Hawaiian blessing ceremony. Find them located in my Highlights bar! Cream eyeshadow has become one of my top go-to products as of late; I just swipe one color all over my eyelids and I’m left with an amazingly simple and on-trend look. Although, I really only use matte cream eyeshadows currently, just because I haven’t found the right shimmers that look refreshingly sparkly, not glittery and gaudy. Ulta Beauty’s Cream Eyeshadows come in eight neutral shimmers that don’t make me scurry away in fear. (Take a guess at what certain drugstore cream eyeshadow line from 2012 I’m talking about here. Not a neutral in sight, I tell you.) I picked up the shades Opal and Smokey Quartz. My name is Kay, and I have never used a lip stain before. Hard to believe, huh? I’m giving it a go with Ulta Lasting Color Lip Stain in shades Treason and Duchess. If these work, I can see them becoming an everyday, holy grail favorite. Crossing fingers! If you have been following The Millennial Maven for any length of time, then you know all about my obsession with this brow pencil! Here’s the thing, I want a great brow pencil that comes in a cool-toned deep brown shade, that lasts for hours on my face, and that doesn’t cost an arm and a leg. It’s actually pretty difficult to find. So when I discovered Ulta Ultra Slim Brow Pencil, well, let’s just say I fell in love so hard that I didn’t even mind paying for shipping to get it in my hands, pronto. It’s never to early to stock up on favorites, right? Right. I use Too Faced Chocolate Soleil Bronzer every year in the fall months, because what is cozier than a frothy cup of hot cocoa? Fall is the time of year I tend to go ham with the contouring, so it is essential that I always have a backup of my favorite bronzer on hand ready to report for duty. If you are as obsessed with the “no makeup, makeup” look as I have been lately, then this product will basically kick all other products to the curb. It’s that magical. I love the whipped texture because it gives my skin a very natural, pretty finish. It’s non-greasy so I don’t look like I just sprinted out of the gym when really I just stepped out the door, but it’s also not so matte that I look like a chalky porcelain doll. It just looks like skin. Not to mention, I am the queen of multitasking, and I absolutely love finding products that just get me, you know? 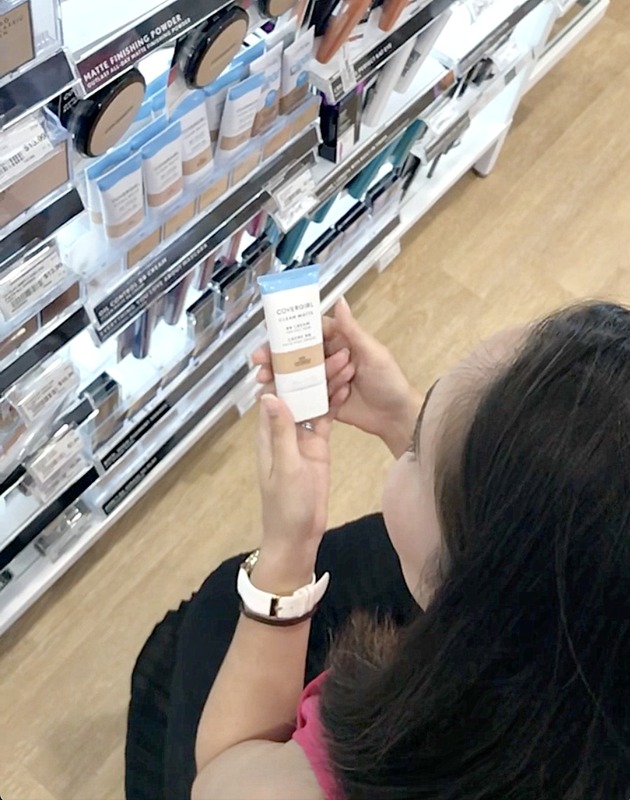 This formula is a primer, BB cream, and sunscreen all in one, plus it contains ingredients to help improve the appearance of your skin over time. Now if only it could do something about the “Mount Laundry,” hanging out on my bedroom floor! I can be pretty lazy when it comes to removing makeup. It’s like being in the kitchen: I have lots of energy for baking a 10 layer cake, but ask me to tidy up the aftermath and suddenly I could sleep for a year. I need a makeup remover that requires basically no effort. Clinique Take The Day Off Cleansing Oil has been a staple on my sink for years. There are no lids to unscrew, no cotton pads to hunt for, no pouring and spilling and greasy hands, plus all the other irritating quirks that come with traditional makeup removers. Using this could not be simpler. Two pumps from the handy bottle, smear all over my dry face, rinse with water. No mess, no grease, no waste. Try it. You’ll love it. Another long-time favorite of time. There’s really not much to say about this except that it makes my lashes look super long and fluffy and it doesn’t flake off and leave black dusk on my cheekbones. Pro tip: I always purchase the travel size tube. I can never completely use up a full size tube in the 3 months one is supposed to keep an open mascara. The travel size tube is just enough product for my lifestyle of using several different mascaras in any given month. To sum it up, it is half the price, the wand is the same, and I don’t have to feel as guilty when it’s time to toss it. Win-win-win. I first discovered this primer years ago and it has been getting increasingly hard to find. 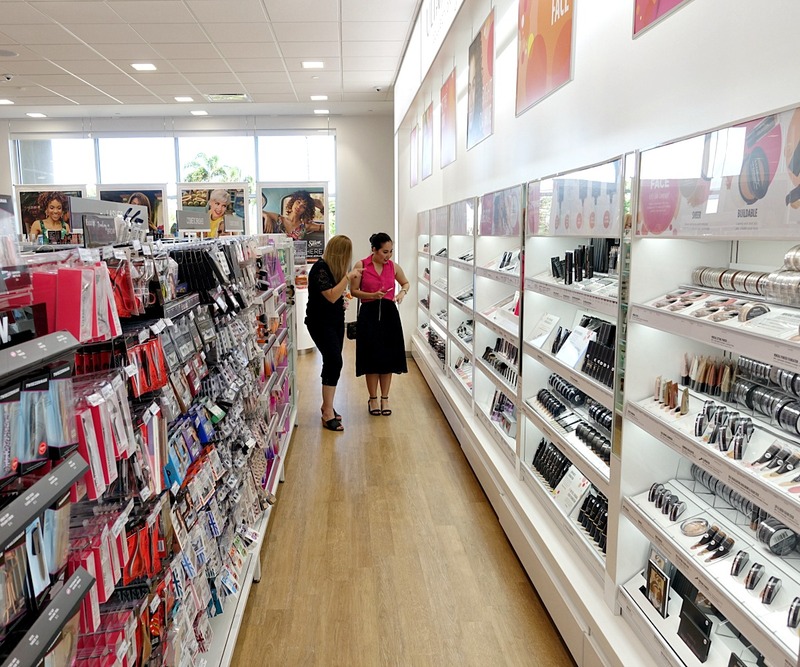 That’s why I am so happy that Ulta Beauty still carries it! The formula is perfect for achieving the dewy skin look without compromising comfort by actually letting your face get greasy or sticky. The thin, liquid-y formula absorbs well and never feels like it is sitting on top of my skin. It provides a shiny base that peeks out just enough from under my BB cream and concealer to create the perfect faux dewy effect. Great for ladies like me who battle oily skin, but still want in on the dewy skin trend. Recently I was out with my silky-haired sister-in-law and I mentioned that the only hair products I own are shampoo and conditioner. She practically fell over in horror. My hair and I have never really gotten along. My care strategy is to wash with vengeance, condition with distain, and swiftly pull back so that I don’t have to look at it. Well, it’s about time I grew up. With all the traveling I’ve been doing this summer, my hair has been spending much more time outdoors exposed to the elements, making it even more unmanageable than usual. I needed something to reel it back in and stop it from totally going off the deep end. This product is formulated with six different types of healthy oils, and says it’s ideal for thick, curly, and dry hair like mine. Plus, it got great reviews. Excited to try and blog about my findings. p.s. Notice that fantastic blow out I’m sporting in some of the photos? Kahului’s Salon Manager, Melissa, (that’s her showing me around the Ulta Beauty Collection in the photo above,) worked some amazing magic on my hair! I will be forever grateful to her for showing me that yes, it is possible to make my wild hair look pretty darn sleek. Skincare was the bane of my existence for way too long. These days I am really putting a lot of effort into taking better care of my skin so that I don’t feel the need to cover it up with tons of product every day. Masks are awesome because they make your skin feel refreshed and smooth; plus who doesn’t love a good spa night to boost your self care up a notch? I picked up this mask because I wanted something quick and easy, (hello, 10 minutes,) that I could count on to soothe my skin when it starts misbehaving. My skin type goes from hero to zero in less than a day, and when problems arise, I need to nip them in the bud fast. I’m super excited to test this out! I hope I have a winner on my hands. This one is a bonus because I didn’t intend to buy another BB cream, but I couldn’t help myself. Covergirl is one of those brands that I have avoided for the most part. Nothing seems to work well for me, and I tend to ignore them and head straight to other brands I know I love. I haven’t tried any new Covergirl products recently, and definitely not since they revamped their product line. A great BB cream can make all the difference with minimal makeup looks, and I’m always on the prowl for the best of the best. Hoping for greatness from Covergirl! FTC- Post is sponsored by Ulta Beauty. I was gifted with a complementary salon service and a $100 gift card to put toward my purchases shown here. All opinions are my own. Some links may be affiliated.